On Friday, we played Hills Like Elephants' "Invisible Ink" as part of our Music Video Friday Fun Extravaganza Show. Today, we're doing you one better. 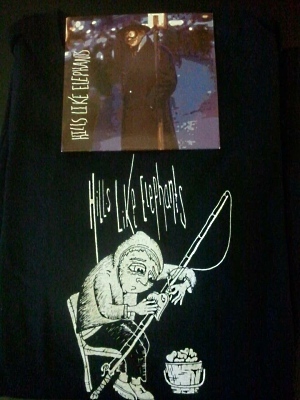 We're giving one lucky reader a copy of the band's debut CD, The Endless Charade, and a t-shirt (both pictured at the right). Sound cool? Ready to enter? We make it quite simple: if you're at least 18 years of age and a resident of the United States and you'd like to enter, just send us an email. We'll pick a winner at 9:31 PM on Thursday, June 21st.